CordMate Cord Organizer is streamlined to blend with any décor. Great for concealing and organizing phone wires, cords and speaker cable. Perfect for family rooms or bedrooms. Self-adhesive backing makes it simple to install on a baseboard or wall. Paintable. Variable crossover from 50 Hz to 200 Hz. Volume control and power switch. Choice of line and high-level inputs (speaker level) or high-level outputs (post crossover). Does the adhesive damage the paint on walls if I wanted to remove it?? The adhesive provided on the Cordmate, as well as our other raceways, bonds to the wall quite strongly. This is very desirable in most applications. However, in your case it probably isn't because if you try to remove the Cordmate from the wall after it sticks it is likely to cause some damage. It will either leave behind a residue which will be difficult to clean or pull some of the surface of the drywall with it as it comes off. Having said that, here as some suggestions as to what you can do to remove the tape residue: The double-sided adhesive used on the back of the raceway has a foam core that can be cut with a razor blade if you are very careful. Use a &quot;filet&quot; technique, pulling up as you go. Then you'll be left with about 1/2 the thickness of the tape still on the wall. You might try rubbing what is left on the wall off manually, wearing rubber gloves. Or you can try scraping it off with a putty knife. If the wall has a gloss finish then you can also consider using an alcohol based solvent to remove the tape residue. 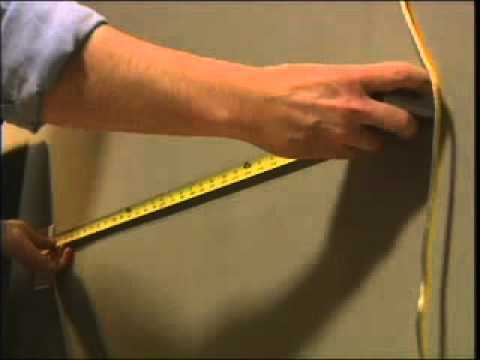 If the wall has a flat finish the problem is a bit more difficult because the finish may absorb the solvent that is used. In all cases, I would suggest that you first try in an area that is not visible. Can this item be reopened if necessary? I want to use it once a year to hide a power cord for Christmas tree. In theory yes but, due to its very small size, it's quite difficult to get a grip on it and reopen it once it's fastened to the wall.